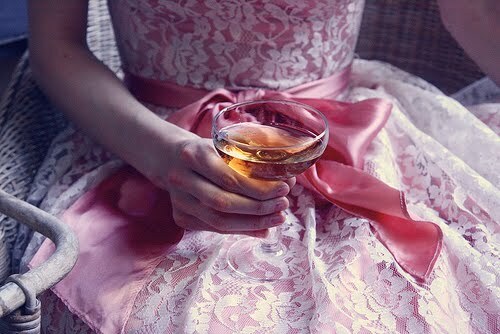 It's a Very Pink Thursday!! Happy Thursday, everyone! 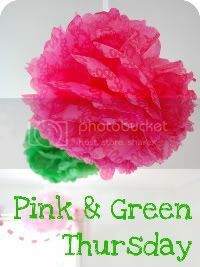 Pink and Green Thursday, actually!! Do you know about this little party that Trish has every week?? It's absolutely fabulous and often features some of the most charming photos! This has seriously been the longest four-day week EVER, and I am in need of a pick-me-up and a little inspiration. I am simply over the moon for these pictures! Happy (mostly) Pink and Green and Thursday, lovies!! Go on over to Trishy's and link up! Gorgeous images! Love the pink cookies! 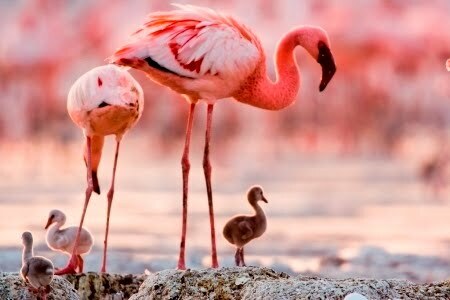 Wow, how pretty in pink! Thanks for sharing! For some reason I'm craving that cotton candy! Yum! This definitely has been the longest short week! I'm glad I'm not the only one feeling that way. 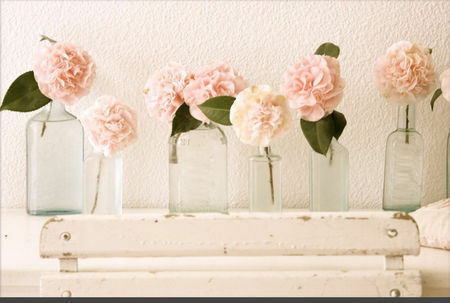 These pictures are so pretty and refreshing! 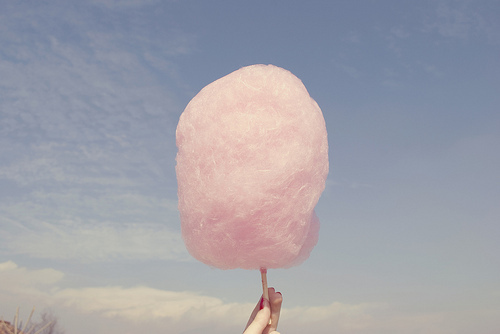 LOVE the pic of cotton candy! These are all so beautiful and girly! I especially LOVE the second photo. 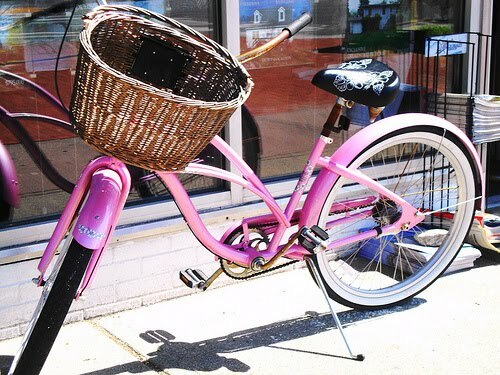 Oooh loving all things pink! Loving all these pictures... I can't pick a favorite! 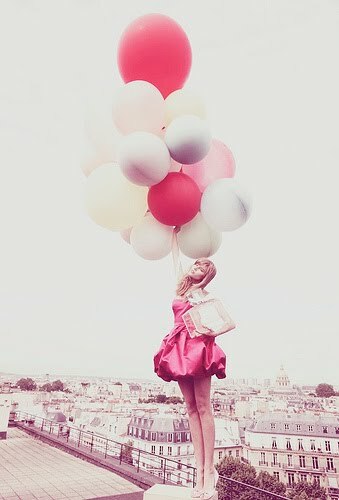 Gorgeous pics!!! Made my morning! maybe it's a little too close to lunch, but i LOVE those pink cookies and cotton candy!! mmmm!! Love that pink room. Yummy....as always. Your blog is dee-lish! These are amazing images. I just love the cotton candy photo! I really want some now! 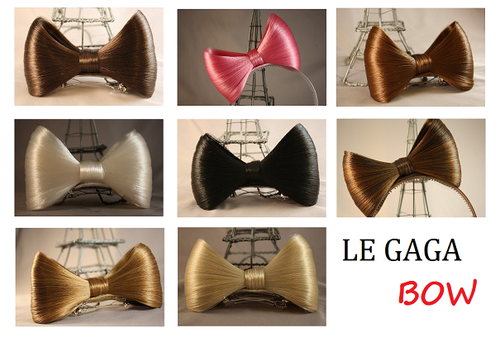 I want a Gaga bow and some of those pink cookies. Yum! Ahhh! I am so pink-crazy these days and never have been before in my life! Love this post! 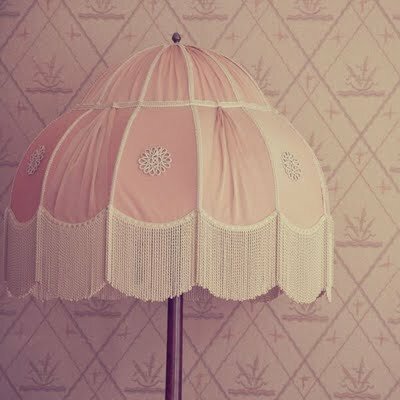 the lamp. the tights! 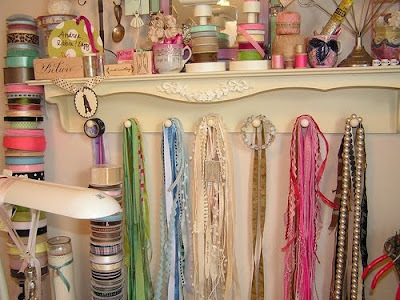 the ribbons. love love love. All I have to say is LOVE IT!!! I actually really love this day because it is my Birthday!!!! Im a big ol' 29 today! I hope you have just as special a day as I have! Love those pictures. And yes, why has this week been so long?! Great post! I love it. Gorgeous images! 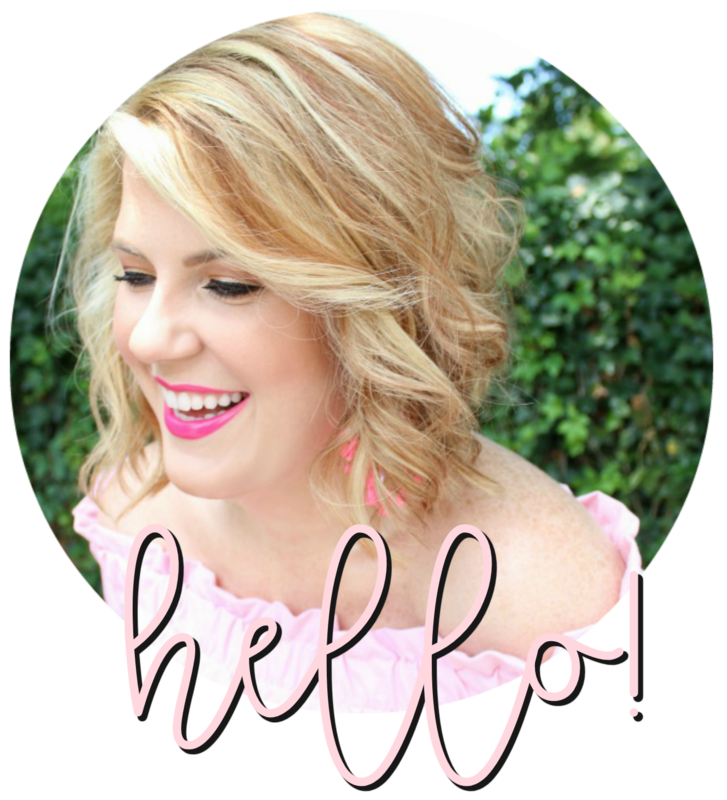 Julie, my beautiful brown eyed belle and lovey, just when I thought I couldn't love you more, you go and knock my socks off with an amazing Pink & Green Thursday post! I am literally squealing with happies over here, you found some of the most darling pink pictures I have EVER seen! 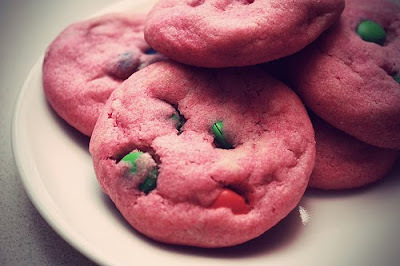 PINK M&M cookies? I am DYING! xoxo Love you sweetheart! !